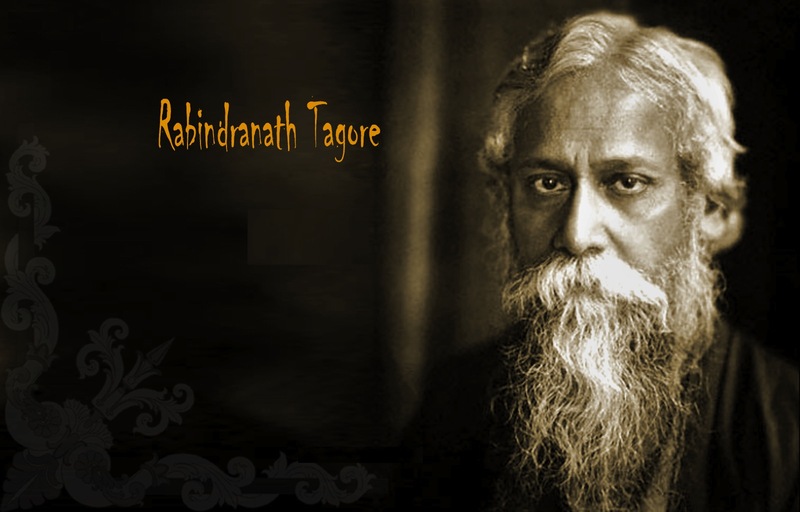 A continuation of one of my previous posts, a song of Rabindranath Tagore in translation, in this post, I will yet again attempt to translate the lyrics of a song by the bard. As in my previous post, ‘Tobu Mone Rekho (And, still, remember me)’, I would like to add that the inspiration behind this translation came from reading the works of numerous scholars and exponents, who have taken painstaking efforts to dissect, analyze and reanalyze Tagore’s treasure trove of songs, poems and prose and spread it to the rest of the world. This particular song, written in 1883, is about losing a loved one, the austerity and the sudden cessation that are part of it. It is a widely known fact that Tagore’s sister-in-law, Kadambari Devi, whom he lost very untimely, had been a silent anchor behind his literary works, and her death, plagued him with the burden of grief and loss, yet also showered his path with light, meaning and bliss. The lyrics of this song are said to be the poet’s solemn, subtle and spontaneous reaction to losing a person so dear to his soul. The song, a melodious rendition, is based on the theme of death and mourning, and the poet’s world of consciousness centered on the domain of death. It can also be described as a wistful refrain on the death of a loved one and the poet pining, lamenting the loss with his ardent, loving soul. And went away, like the intoxicating breeze of spring? Blooming a hundred flowers while leaving? She went away, wordless, to a distant land and never came back. Looking at her path as she went, singing a nameless melody. I am seated, forlorn, with myself, in the garden of love. Went away to an ethereal kingdom of the moonlight. She has left her untainted smile on her way. I felt as if she reckoned me, with the corner of her wistful eyes. Sitting alone, I am lost in thoughts: where do I go from here? She waved her wand and the eyes of the moon closed in slumber. She dangled a bunch of flowers deep within me. The heady fragrance of the flowers followed her, became one with her. Which path did she take, which place did she go! P.S. I would like to add here that with this translation, I hope to pay a small homage to the loving memory of my mother who has been a keen devotee of the songs, poems and literary works of Tagore. Since she has transferred this unquestioned devotion to me in my childhood, I had to come back to none other than the bard himself to reiterate my thoughts on what our relationship had been about, and how the memory of her love would keep me going for the rest of my life. This one is also for you, Ma! Lopa Banerjee is a writer, editor and translator, currently based in Dallas, USA. She is the co-editor of ‘Defiant Dreams: Tales of Everyday Divas’, a collection of inspiring, women-centric stories published in collaboration with Incredible Women of India and Readomania. Her memoir/autobiographical novel Thwarted Escape: An Immigrant’s Wayward Journey, recently published by Authorspress India, has been First Place Category Winner at the Journey Awards 2014 hosted by Chanticleer Reviews and has received Honorary Mention at Los Angeles Book Festival 2017. She is also an editor of Learning and Creativity. Her debut poetry collection ‘Let The Night Sing’ (published by Global Fraternity of Poets) has recently received Honorary Mention at New England Book Festival 2017. Her recently released book of translation of two novellas and six short stories of Nobel laureate Rabindranath Tagore, ‘The Broken Home and Other Stories’ has also received critical acclaim. She has received the International Reuel Prize for Translation (2016) for Rabindranath Tagore’s ‘Nastanirh’ translated as ‘The Broken Home’ and also received the International Reuel Prize for Poetry 2017. She has been chosen twice to be a featured poet/artist by Dark Moon Poetry, a women’s poetry and performing arts groups in Dallas, TX, USA. Her poetry, stories and essays have appeared at literary journals and anthologies both in India and the US. Also, her book reviews and author interviews have been published in Tiferet Journal, Jaggery: A Desilit Arts and Literature Journal, Goodreads.com, The Indian Short Story in English, Prairie Fire journal, Setu mag and Learning and Creativity e-zine. Copyright © 2018 · All Rights Reserved · Lopa Banerjee. Unauthorized use and/or duplication of this material without express and written permission from this blog’s author and/or owner is strictly prohibited. Excerpts and links may be used, provided that full and clear credit is given with appropriate and specific direction to the original content.